'No Image No Message'. 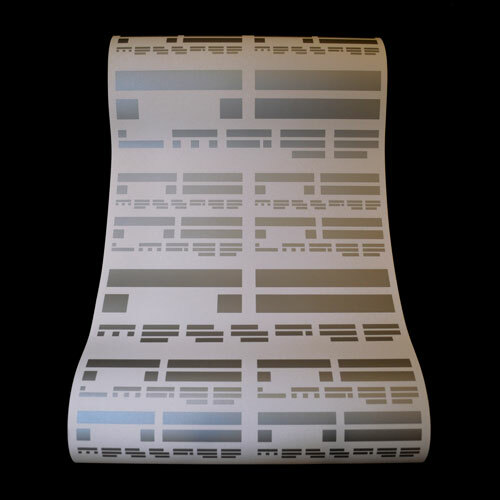 Metallic silver silkscreen on wallpaper, 0.53m x 10m. Dimensions and installation size variable, depending on wall area chosen.